The FCC is considering new rules for mobile devices that operate in the 700 MHz band per a Notice of Proposed Rulemaking (NPRM) titled “Promoting Interoperability in the 700 MHz Commercial Spectrum.” It’s unusual for the agency to impose rules on devices built by such firms as Apple, Samsung, Nokia and others, so there’s some sharp disagreement about whether it has the authority to do such a thing. We won’t know the answer for some time, but for the moment it’s practical to examine the proposed rules on the assumption that the FCC can find the authority. The background is somewhat complex. The FCC’s last big spectrum auction took place in 2008 when the “digital dividend” freed up some airwaves that had formerly been used by television. 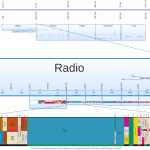 Digital TV channels can be placed closer together than analog channels were, so a more efficient packing scheme made this spectrum available for sale. The spectrum was arranged in five blocks, called A-E, in two ranges, low and high. Most of the blocks consisted of pairs, separated to allow transmission on one half of the pair while the other half was doing reception, but the E block was unpaired. The D block was not successfully auctioned as the FCC wished to sell a single nationwide license for it and the reserve price wasn’t met but it has since been given to public safety. Here’s a handy map that shows how the pairing works. 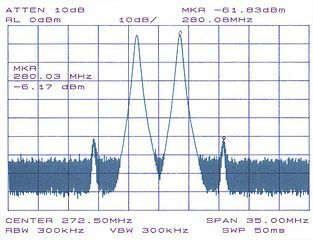 Note that the A block consists of 6 MHz next to Channel 51 at 698 – 704 MHz and another 6 MHz from 728 – 734 MHz and that the E block is a single slice without a pair, and that there is C block spectrum in both the lower band and the upper band, with the upper band slices twice as wide as the lower band slices. The biggest winner of B block spectrum was AT&T, the biggest winner of C block spectrum was Verizon, and the A block was mainly won by regional networks such as MetroPCS, US Cellular, and Cellular South. AT&T paid a significant premium to be free of the net neutrality rules and the interference caused by the high power TV transmitters on Channel 51 in the urban markets, and the regional carriers who could live with channel 51 got a discount. Verizon did best of all by accepting the net neutrality rules. So the assumption of flexibility played a big role in determining the auction price. Here’s a map of the Channel 51 transmission contour. Spectrum is harmonized around the world according to “Band Classes” devised by the 3GPP, the standards body that defines such things as LTE, the new 4G standard that’s hitting the U. S. market now in a big way and starting to appear in the rest of the world in a much smaller way. There are three band classes of interest for 700 MHz, identified in the first diagram as BC 12, BC 17, and BC 13. Note that Band Class 17 is a subset of Band Class 12 that excludes the discount A Block, and BC 13 is distinct and non-overlapping with classes 12 and 17. At this stage, AT&T plans to resell devices conforming to Band Class 17 and Verizon to resell devices conforming to Band Class 13 (in the upper C Block ). These devices will be able to use their native, licensed networks only, which means they won’t be capable of roaming onto other networks (except insofar as these devices may support other frequencies as well.) Hence the notion of “interoperability:” 700 MHz devices will not roam or “interoperate” with other band classes and networks but the ones they’re built for. This irritates the small carriers who bought A Block spectrum at a discount because they would like to use the same devices that AT&T and Verizon resell rather than more specialized devices tuned to their A Block frequency and also capable of roaming onto the B and C blocks. Cellular South (now known as “C Spire”) is the only regional network to offer the iPhone to its customers so the entire group of A Block winners is somewhat disadvantaged in terms of the very best devices, but there are a few Android devices adapted to their networks. MetroPCS offers LTE today with such devices. Chips are available to support Band Class 12 so there is not an insurmountable technical hurdle to building Band Class 12 devices. Making them work well is a different matter, however. Leaving aside the question of the propriety of the FCC essentially requiring AT&T and Verizon to subsidize handsets for the A Block carriers and focusing in the technical details raises some interesting issues. We learned from the LightSquared issue that it’s never good to be dependent on a low power signal when you have a neighbor who uses a high powered one. Even though the signals are distinguishable from each other in terms of their patterns of digital bits, the radio energy of a high power transmitter confuses receivers designed for low power signals. As radio waves decay with distance, they give off interference energy above the frequency of the original signal, and this can be significant when the power difference is great between the lower and higher powered transmissions. …the amplitude modulation of signals containing two or more different frequencies in a system with nonlinearities. The intermodulation between each frequency component will form additional signals at frequencies that are not just at harmonic frequencies (integer multiples) of either, but also at the sum and difference frequencies of the original frequencies and at multiples of those sum and difference frequencies. The diagram shows IM distortion as the two smaller spikes the left and right of the two big spikes that represent the signals. The IM spikes in this example are significantly stronger than the background signals represented by the more solid lines. There are a few ways to work around IM distortion. The easiest is to raise signal power, which is accomplished in cellular systems by siting towers in a ring around the IM distortion source and by increasing the battery draw in mobile devices. There are limits to this approach because towers are expensive and cellular systems are very low power compared to those TV transmitters on Channel 51. Engineers hired by the regional carriers seeking the device subsidy claim that three towers close to each TV tower will do the job, but AT&T’s engineers put the number closer to 12. Another way is to add filters to the devices, which raise the cost and increase the battery drain, and yet another is to use more sophisticated signal processing, which once again reduces battery life. All of these methods require extensive field testing, so there is a significant overhead in terms of the time to market for new devices. This brings us to this question: Is it reasonable for the FCC to add expense to the smartphones that AT&T and Verizon sell, to reduce their battery life, and to delay the introduction of new devices built by Apple, the Android crowd, and the Nokia/Microsoft partnership in order to enable roaming between regional networks and national ones? “Reasonable” is in the eye of the beholder, of course. If you’re a regional network, the proposed interoperability rule costs you nothing and impairs the users of the national networks, so you’re happy. If you’re a national network, the rule increases your costs and irritates your customers so you’re not happy. And if you’re a device manufacturer it impairs your ability to get new devices to market so you’re not happy either. The “interoperability” mandate will also stress the analog engineering skills of the device makers, and that’s an area where they don’t need any more problems. Analog engineers are in short supply, which is evident every time a smartphone shows poor antenna performance. The cheapest and easiest way around this problem would be for the FCC to adopt the same solution they went for in the LightSquared case: They can take Channel 51 off the air. With the interference source gone, Apple can simply build all of their 700 MHz devices to function on the A, B, and upper C blocks without special testing and engineering for the A Block. 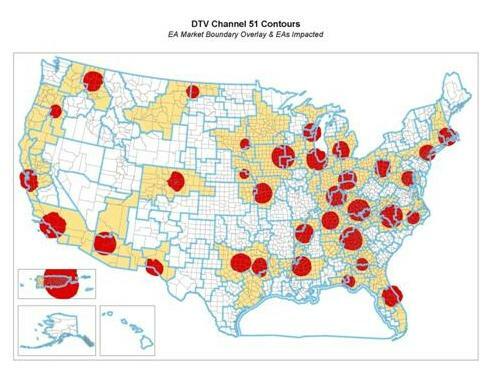 If the FCC doesn’t want to do this, we’ll have to evaluate whether their reasons for keeping Channel 51 alive are more compelling than the reasons the device manufacturers have for not wanting to filter the interference it spills into the A Block. As it stands, the A Block licensees have the power to buy as much interoperability as they want from the companies that build their smartphones. They’re going to pay higher prices for these Swiss Army knife phones than the more narrowly tailored phones used by the national carriers, but they got a deal on their spectrum. The FCC is looking for precise estimates of the costs of an interoperability mandate, but they’re only part of the story given the rationale. The underlying assumptions seems to be that the consumer buys a smartphone and keeps it for a decade, roaming at will and changing carriers every time a great deal is available. This is clearly not the way the smartphone market works today, or you wouldn’t see people camping out at the Apple store to get the new iPhone. I fear this is simply “Wireless Carterfone,” an attempt to re-live the glory days of 1969 when the courts and the FCC required interoperability for the telephone network. While that decision lead to cheaper and more plentiful fax machines, modems, and answering machines, it’s not really parallel to the situation we have in the rapidly-changing world of cellular technology. We have to think about how this mandate will affect the roll-out of 5G and 6G services as well as faster and better smartphones even if we can convince ourselves that it makes sense to have the national carriers subsidize the regionals.